Hey Freddie, how’s it going? Things here in Orlando are going great, just moved apartments and classes started up again. Actually moved in with my best friend and fellow Monster army rider Ryan Baker! Tell us about your injury, where were you? What happened? 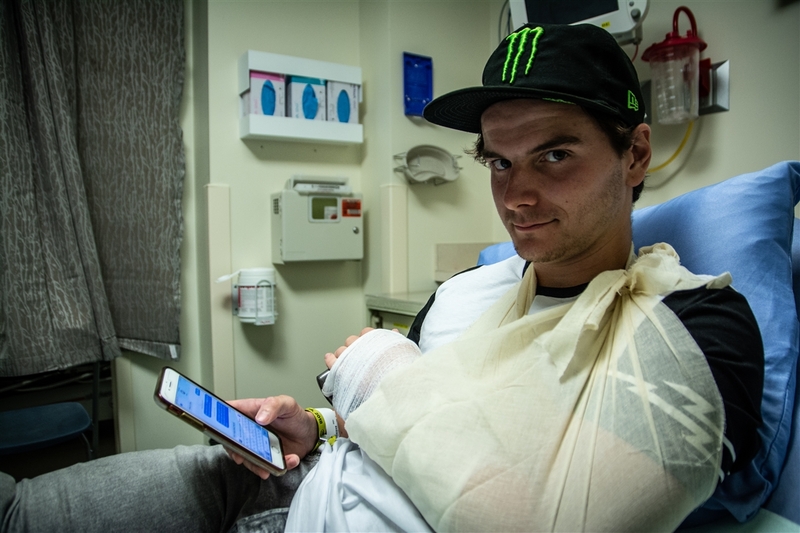 I broke my radius and ulna in my left wrist July 14th at Fise Edmonton. Qualifying was going down at like 9:00am and the windy conditions didn’t make things any better. I was feeling really good, despite the dislocated shoulder I already was dealing with. Mid run I was doing something that comes easy to me and made a simple mistake. I ended up kicking the front wheel of my bike stopping the rotation and I had to ditch it. Trying to avoid hitting my head I put out my left arm first and I knew it was broken as soon as I hit the ground. Then I spent a long day in the craziest hospital with Kyle Noble haha! My nurse was pretty hot though, so if you’re out there somewhere remember what we talked about! 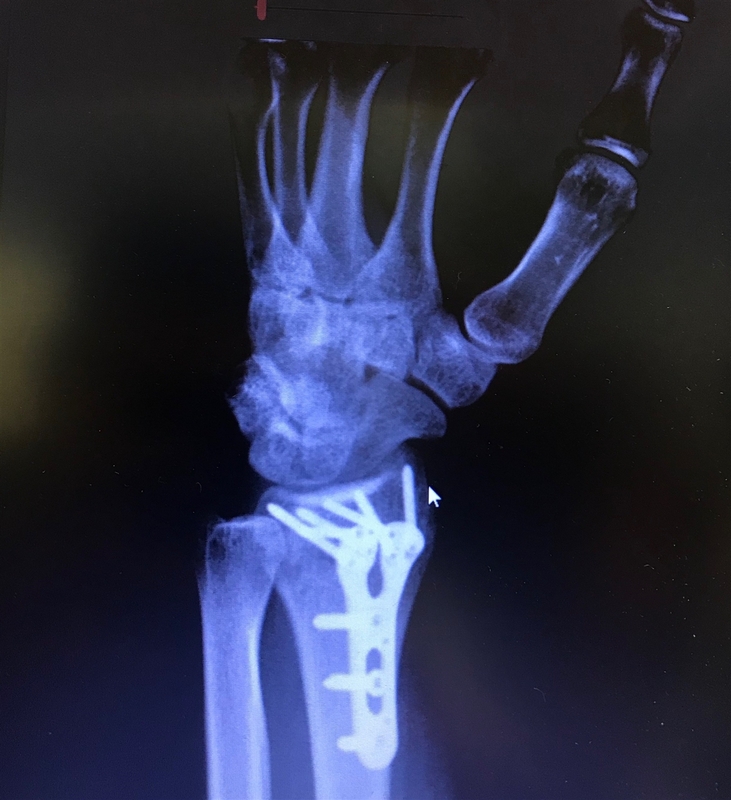 Recovery is going great, I had the operation done on July 25th. They put a metal plate and several screws in my radius. So I’d say I’m worth a little more money now! I did make sure the plate was going to be Titanium, since I am a true Weight weenie! Right now I’m back in the gym and riding the road bike, I’ve been going to physical therapy and working on my grip strength and mobility. So this recovery isn’t anything too special, just doing my best to come back stronger than before! 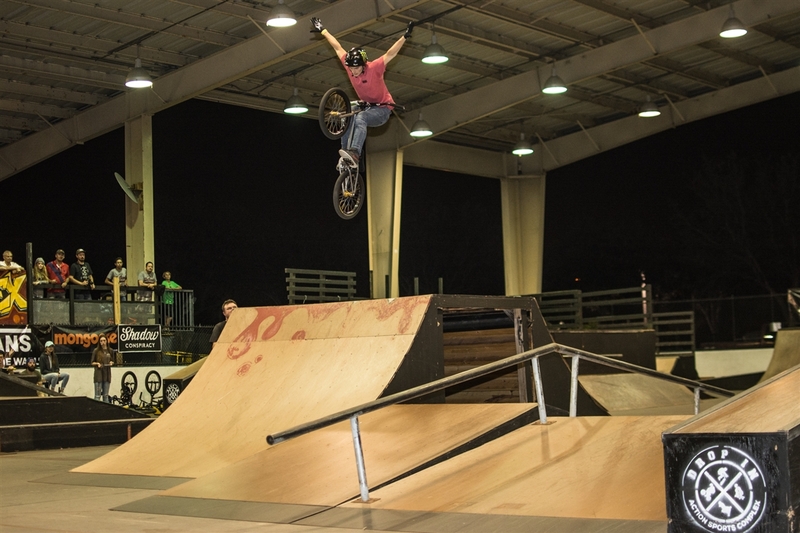 When can you start riding again? The goal is to get back on the bike early October, and I’m working hard to do so! The most important thing is having my grip strength good enough to hold on. My ulna is still cracked so we’re waiting on that to heal completely then we should be good to go! 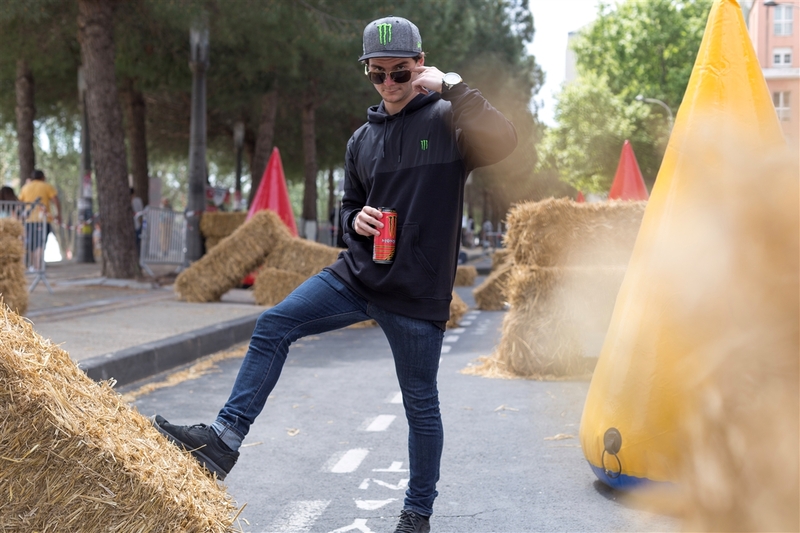 I plan on going to China for the last Fise event of the year and the Urban Worlds. Depending on how I’m feeling on the bike in October will be the deciding factor to go or not. If I don’t make it to China, I still plan on the Florida series and Monster Triple Challenges when they start up! Finally, why does everyone call you Frank? Ha, to be honest I hate when people call me Frank! Brandon Loupos accidentally called me “Frankie” back in like 2012 when he forgot my name at Woodward and I got mad about it. Then when I saw him earlier this year he remembered and that’s when it all went south for me lol! Brian Fox picked up on it and it spread like a note in middle school. We’ve come to an agreement that you can call me “Frankie” when I’ve done something that “Freddie” wouldn’t approve of! Olivia can get away with calling me Frank because she says it so much I forget my real name! 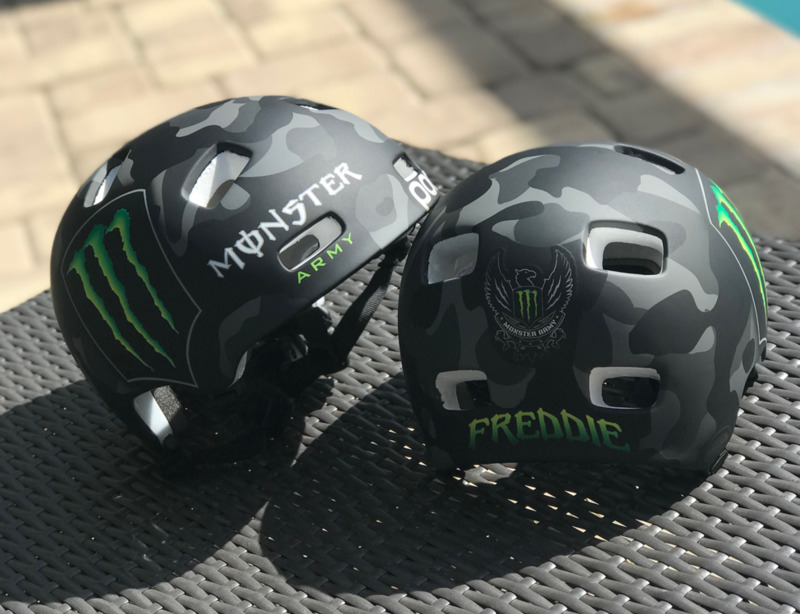 I actually got “Freddie” on the back of my new Monster helmets so everybody knows my name is not Frank, Frankie, Franklin or anything else you guys may think of haha! Frederick, Freddie, Todd, or Todrick are all okay with me! I miss everyone though, see you all very soon!